So often there’s someone at work who leads a double life. In this story, it's Lenore. Everyone around her is serious about work, and they wonder why Lenore has to be so weird. Why can't she dress like them and eat lunch like them? But to Lenore, this job is just her day job. She goes home after work to perfect her act: Singing parrots. This story is a love note to everyone who works long hours for no pay, while preparing for a dream that is so big that no one believes it will happen. No one can assure you of success, but this book gives assurance that sometimes your best fit is not fitting in. The best careers are never about money. They are about passion and commitment to something much more important than money. Yet so many people grow up thinking the reason we go to work is for money. This books shows kids – and adults – the absurdity of working solely for the money. The money we earn always needs to buy something more important to us than the time we took to earn it. Because money is not an end in itself. that relentless question from adults: what do you want to be when you grow up? But it’s probable that the author wrote this picture book for the parents to show how pointless and perilous it is to have preconceived notions of what your kid will want to be when he or she grows up. And, perhaps even more poignant for adults, this character knew what he’d be way before his parents began their own campaigns. This book will give reassurance to cowpokes everywhere to stay true to themselves. And the book will remind parents their kid is not a mini-me. Fenwick wants to get more recognition in his job. He starts by dressing for success and trades in his standard white shirt and brown slacks for a super hipster suit. But the suit takes on a life of its own, and leaves Fenwick by the wayside. For kids, this is a workplace fable. And for adults, this story is a literal interpretation of the perils of losing oneself in the quest to be someone you are not for the sake of your career. You never need to change jobs to change the world. Every job presents us with an opportunity to do good, but most of us don’t recognize the opportunity when we have it. This story is not about Jackie Robinson, but rather the coworker that created a support system for Robinson to succeed. This book shows how interdependent we are in the workplace and how that reliance on each other enables us to make the biggest impact on the world. This story celebrates that the most meaningful work of helping people to be their best selves. School teaches kids that the hardest workers have the most success. This book is a reality check on that classroom gibberish. 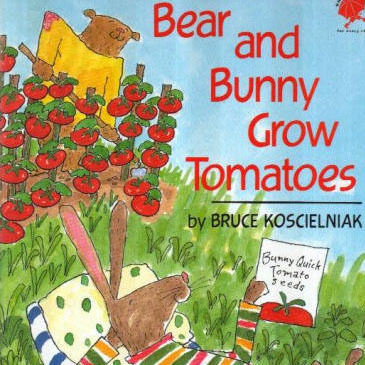 Bear works hard planting his tomatoes while Bunny is a slacker. Kids will love seeing Bunny’s pool party to end all pool parties. Adults will love seeing the sweet twist at the end of the story. And every reader gets a gentle reminder that hard work is not a guarantee of success anywhere except in school. 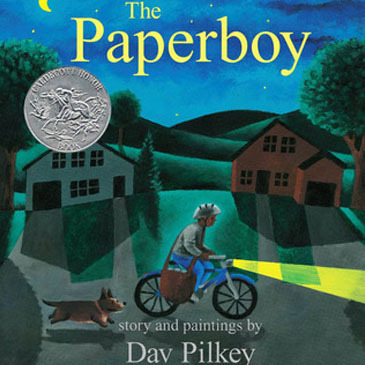 This book takes you on the morning route of the paperboy. It's a quiet, solitary job that that he does alone on his bicycle. This job allows the paperboy to notice all the sights and sounds of the neighborhoods he rides through. The writing and pictures work together to show even the most close-minded knowledge worker why some of the best jobs are outside the office, where wind rushes through your hair, and nature’s rhythms guide your hours. Frederick can’t stop writing poems. His community is constantly annoyed by his lack of productivity. Everyone encourages Frederick to do something that has value to those around him. And they wonder, why is he so lazy?!?!? Frederick struggles to conform but he seems to have a problem. This book shows us that one person cannot define what is work for another person. This book also has a surprise ending that will remind the poets and artists of the world how important they are to the community. A girl moves with her family from the US to Japan, where her parents are from. Her parents are tired of being foreigners, but now she is a foreigner and she struggles to adapt. Eventually, the girl discovers she can find her place in the world by working for a big company. This is the story of how we find ourselves through work because work is the first time we have an identity separate from our parents. I saved the best for last. Allen Say is one of the most undervalued literary voices of our time. All his books are autobiographical, and together they create a gorgeous, poetic memoir of how immigrants find their way in a new world through work. And work is the first part of a new culture that immigrant parents pass down to children.